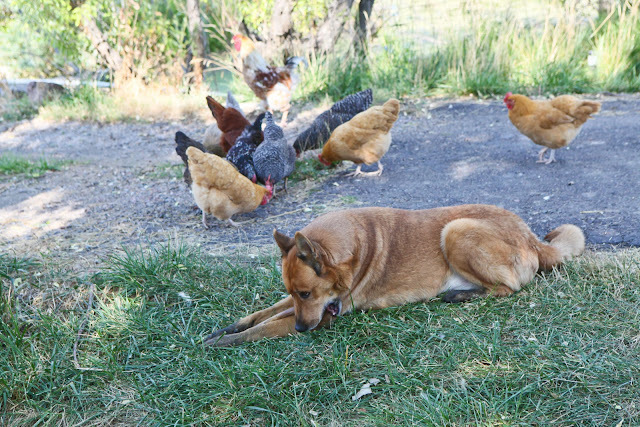 Either Aki (the dog) is keen on protecting the chickens, or he thinks he is a chicken! Regardless, he does seem to enjoy their company. "Care to share that delicious looking bone?" 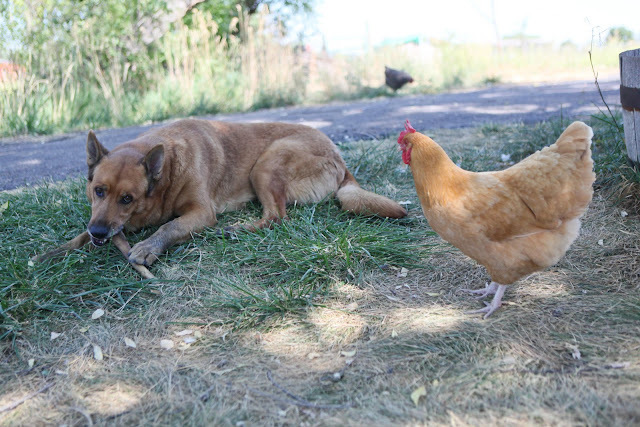 Your Aki is a sweet one - I admit my three Great Pry's undestand we have chickens but is not thrilled with them - Pry's hate all birds. They will bark for hours at a magpie. 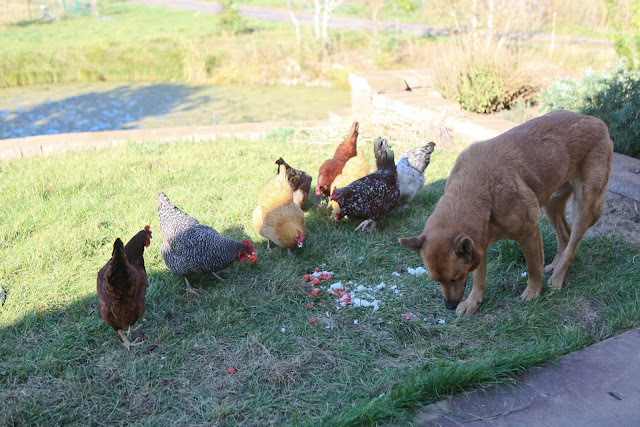 However they at least no longer bark at the hens but do not wish to share too much space with them. They will kill anything going after them and that is all I ask. Give a hug to Aki from me.